This is to be a Bar Mitzvah present for a boy, done for one of my agent’s main clients. Hope the kid likes it. Out of the studio today, and working at the Chimera coffee shop, in what is known as the Brady District in Tulsa, an older part of downtown, north across the tracks. I used to work in a dirt lab, here in this area, when I was in college and working summers for the Army Corps of Engineers. 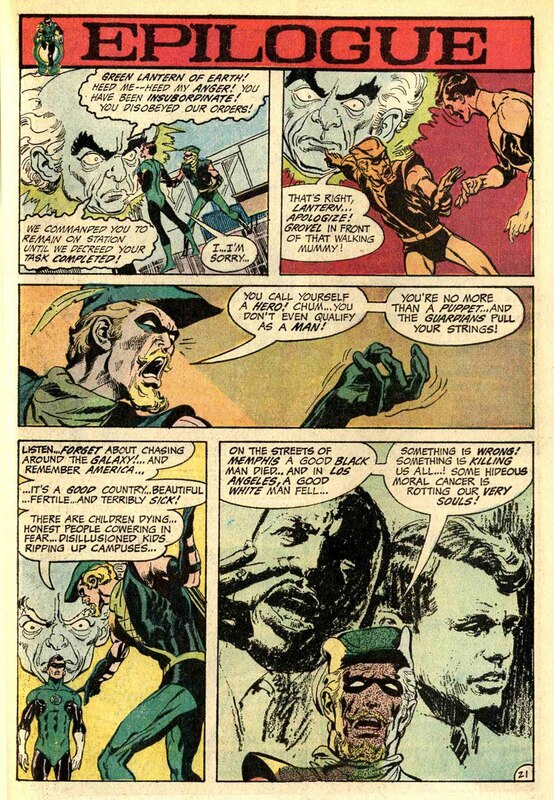 ( Yes, I became an engineer and worked in the design department of the Army Corps of Engineers, before I broke into comics with Chelsea Oklahoma’s former wonder boy, John Wooley. They say he was reading newspapers when he was three years old! Well, south 18 miles down Highway 66, America’s Main Street, I was drawing comic strips when I was 3 years old. Mostly about dinosaurs. We made a good team. Now the Brady district is thriving with cafes, clubs, coffee shops, The Woody Guthrie Museum , and Driller Stadium, home of Tulsa’s baseball team the Drillers. Today’s offering…… A comp I just finished for my Workbook Ad. I promote my studio through a couple of creative books: The Workbook,through my New York agents, The Mendola Agency, and The Directory of Illustration. Creative books, contain illustrations of commercial artists, and they are sent out by the tens of thousands to art directors, publishers and such all over North America. If you have two or three grand to spend, you can take out an ad. I like doing these illustrations. It’s a chance to be creative, and do an iconic piece. Here, I am featuring a strong female heroine. I usually do. But in this case I’m specifically trying to make her akin to Wonder Woman. I am predicting that Wonder Woman will be popular next year due to the upcoming “Superman vs. Batman” movie. 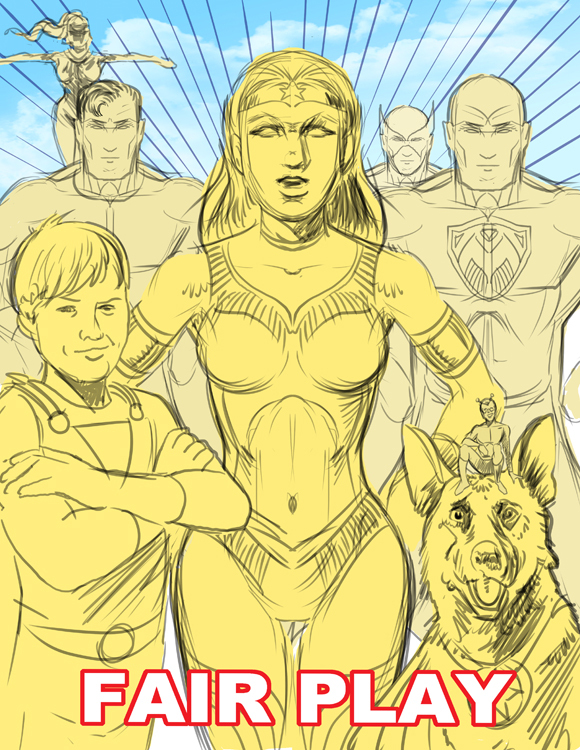 Although I didn’t intend to do so….. this comp reminds me of the compositions of Alex Ross, form his Kingdom Come work. The girl hero floating in the sky is definitely ripped off, ahem… inspired by Mr. Ross. Here’s a tight color comp for a book cover. I’m working digitally, as usual these days. 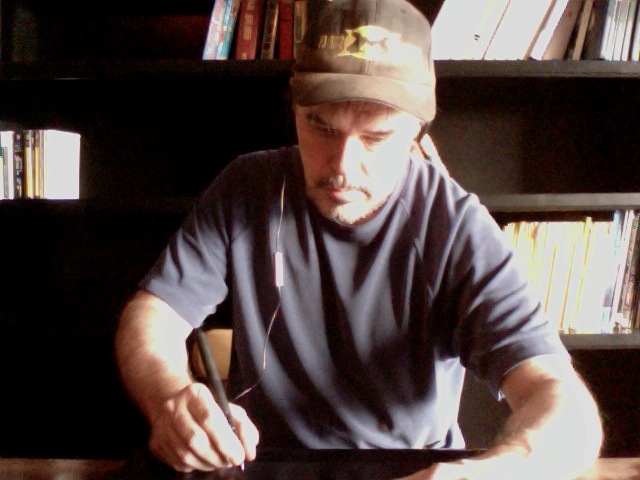 Picture above is of me drawing with my Intuos 4 tablet. 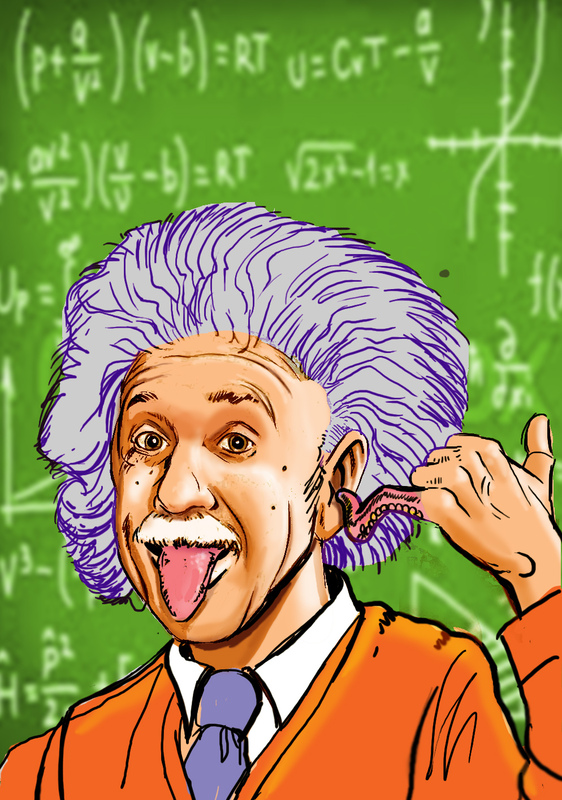 This was fun to do as it combined two of my favorite subjects: illustration and physics. I purchased Isaacson’s biography of Albert Einstein and plan on reading it this summer. His bios on Ben Franklin and Steve Jobs are fascinating! 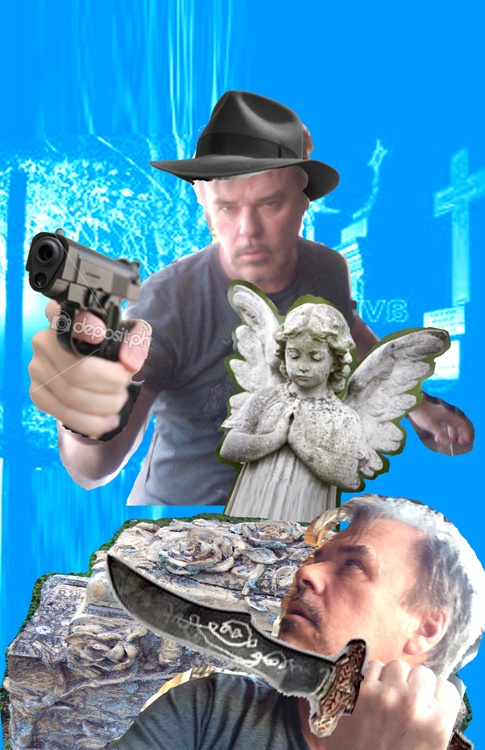 This is the kind of thing I do sometimes when I’m bored to … you know, entertain myself. I’m a huge Batman fan, since the sixth grade. Strangely enough I’ve never cared much for the Batman movies, except maybe the one with Keith Ledger as the Joker. That was pretty good. What I don’t care for is the rubber suits, or even the body armored look of the last three Batman movies. And the Batmobiles are trying to be way too cool. So I’ve photoshopped together a still from a Batman movie I would like to see. I like the klunkiness of it. Klunk is cool! Someone actually built this car and I grabbed it from the internet. The Joker is the Joker from the “Dead End ” short by Sandy Collora on Youtube. Which is by far the best live action Batman film. 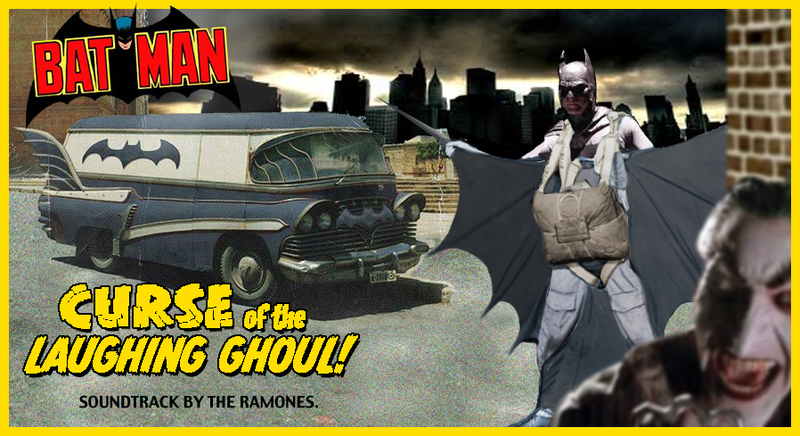 I also think a Batman movie with a soundtrack by the Ramones would be kinda neat. In my mind this “movie” was shot in perhaps East Germany in the mid seventies and never got play here in the states. 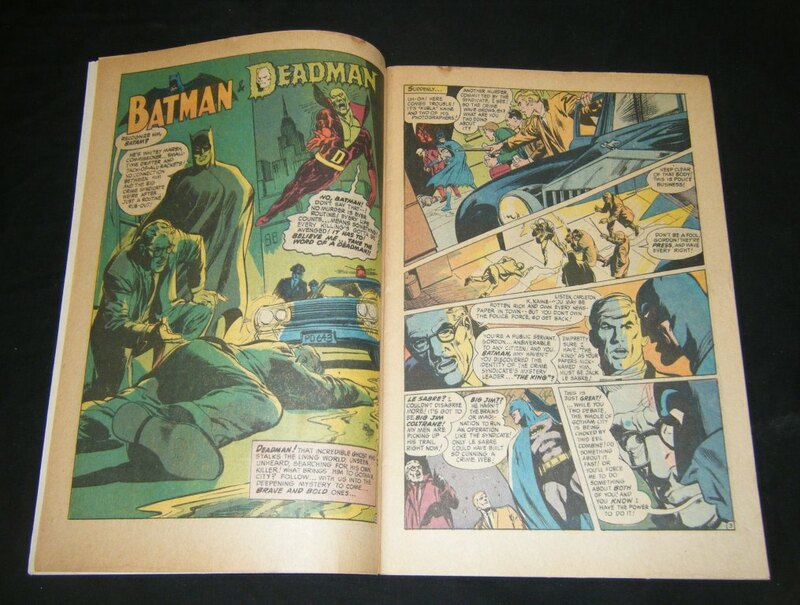 Here’s the link to BATMAN: DEAD END. Good photo reference and prep work makes a lot of difference in an illustration. Here, I’ve googled reference for tombstones, graveyards, a 45 pistol and an ancient ceremonial knife. I’m also the model for this, shooting pics with my Iphone camera. Quick and easy to do. I find , like every other illustrator, that good reference adds lots of detail you wouldn’t necessarily imagine, and once you set it up makes the actual drawing go very fast. Here are the digital pencils, which took me a couple of hours. I found a really cool photo of trees in silhouette against a night sky. 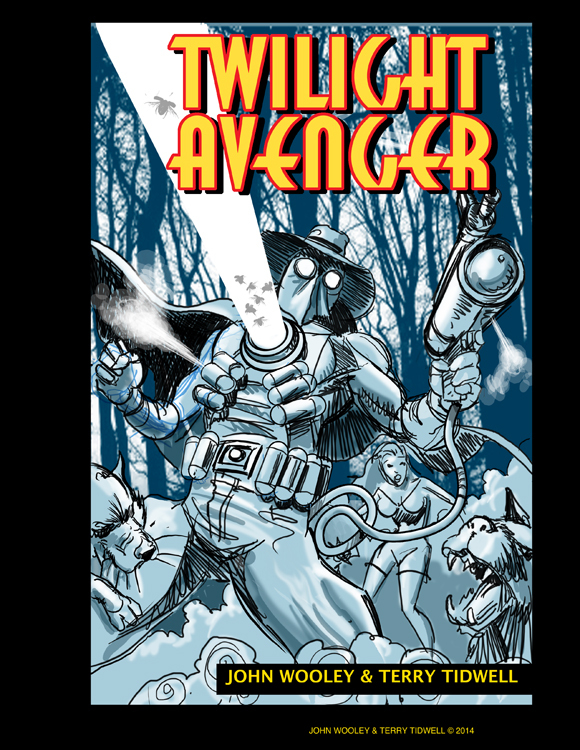 Once approved by my publisher, the drawing will be digitally inked and colored. By the way I came up with the logo for this cover also. 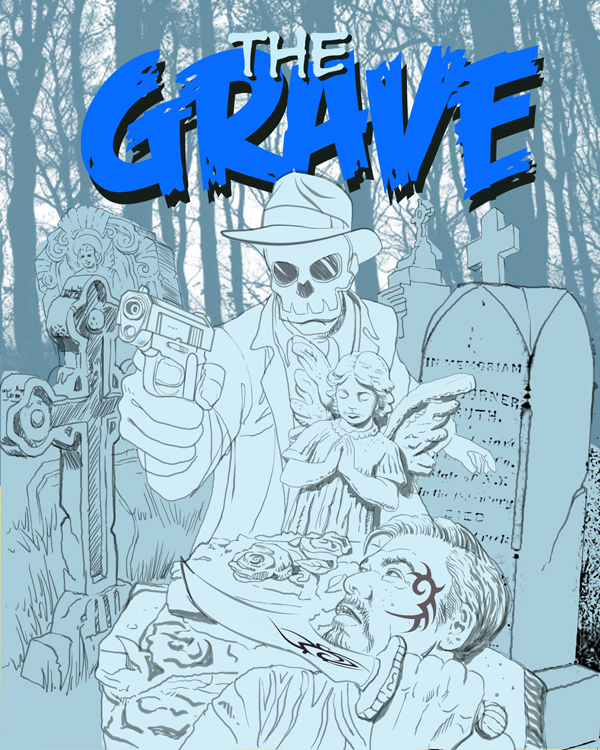 “The Grave” is a spooky vigilante series set in the nineteen twenties. 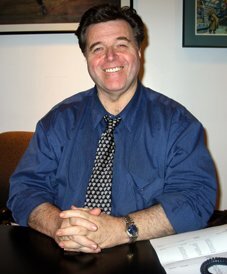 Neal Adams was appearing at the Dallas Comic Convention Fan Days. 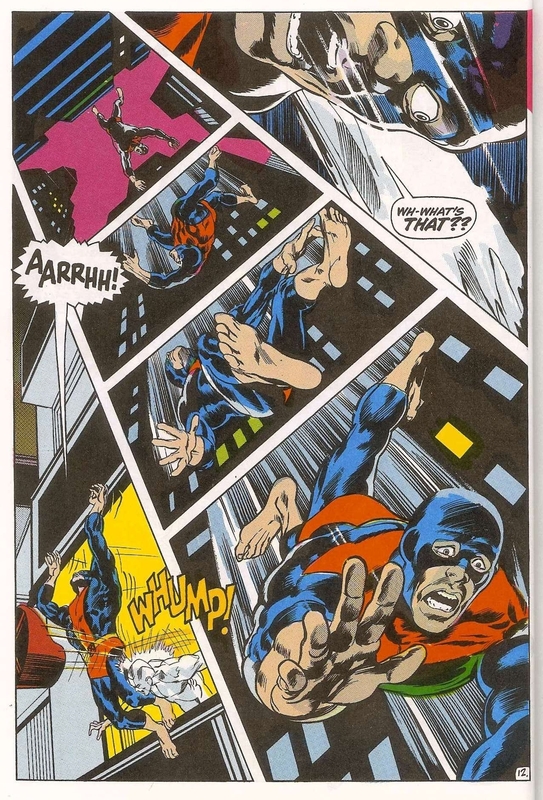 Neal Adams was the first artist to bring a realistic approach to illustrating comics. Maybe realistic isn’t the word…. Adams brought an intensity in facial expressions and detailed anatomy that was beyond the scope of what had gone before. 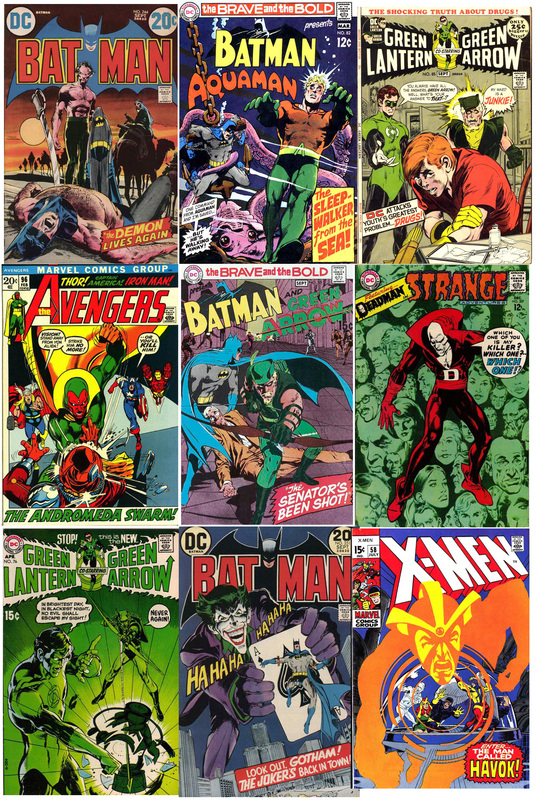 These are examples of his covers in the late sixties, early seventies. His work was inspiring to me and made me want to draw better. Do yourself a favor and look up some of these works being republished today. 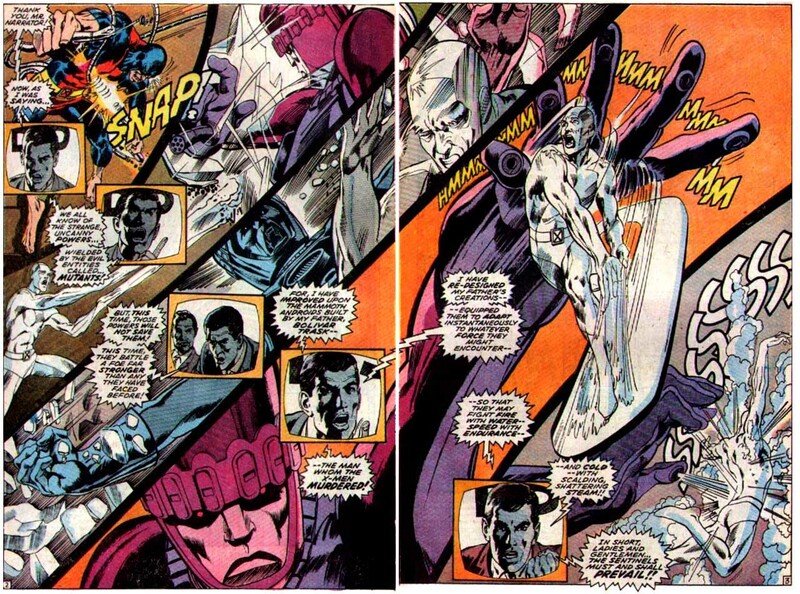 Look at these wild and dynamic page layouts. Ingenious! Click on the spread, especially to witness the details! You may say, W’ell I don’t see anything unusual, it’s pretty commonplace! What are you NUTS? Oh, wait, sure ,you may be right….But Adams started it. It was new and ground breaking for the times! 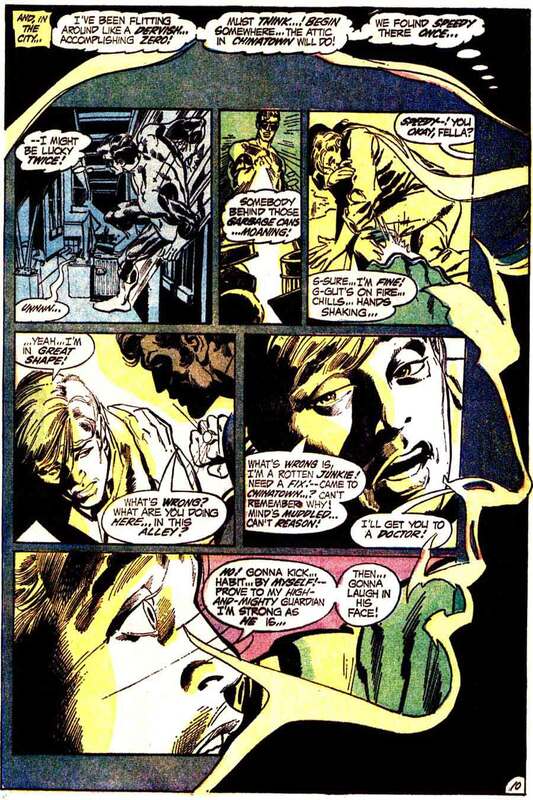 And here Neal, again with Denny O’Neil, tackles the subject of drug use. 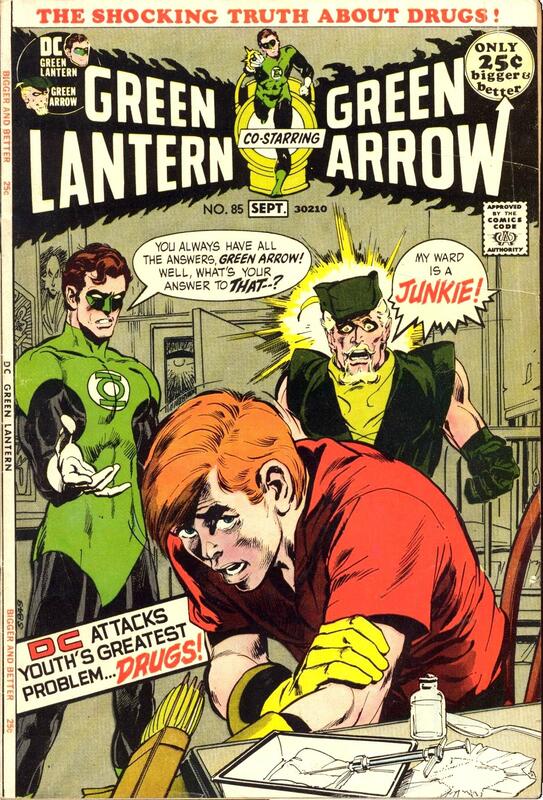 Green Arrow’s sidekick ,Speedy, has become a junkie. Yeah, I know, create your own joke here. 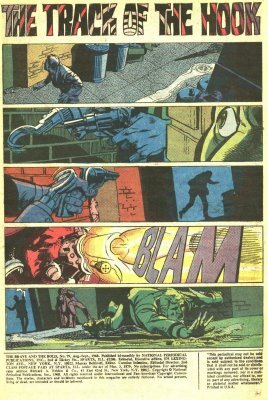 Here’s 3 pagse of Neal’s panel to panel work from Brave and the Bold #79. They are among my personal favorites! Marvel at the cinematic storytelling. As I said in a previous blog post, the con was packed with people. I was thinking I may not get a chance to see Mr. Adams, my main reason for attending. But I was lucky and spotted him before the masses realized he had seated himself among us…. the common nerds! I got so spend quite a bit of time in conversation with him. But oddly enough instead of comics we discussed ….Particle Physics! I used to be a physics major, and Neal was well versed about the subject. Neal has his own theories concerning expanding planets. No, really, and they are unique and mind blowing. Check out these two Youtube videos. http://www.youtube.com/watch?v=oJfBSc6e7QQ and http://www.youtube.com/watch?v=zy3_sWF7tv4 . 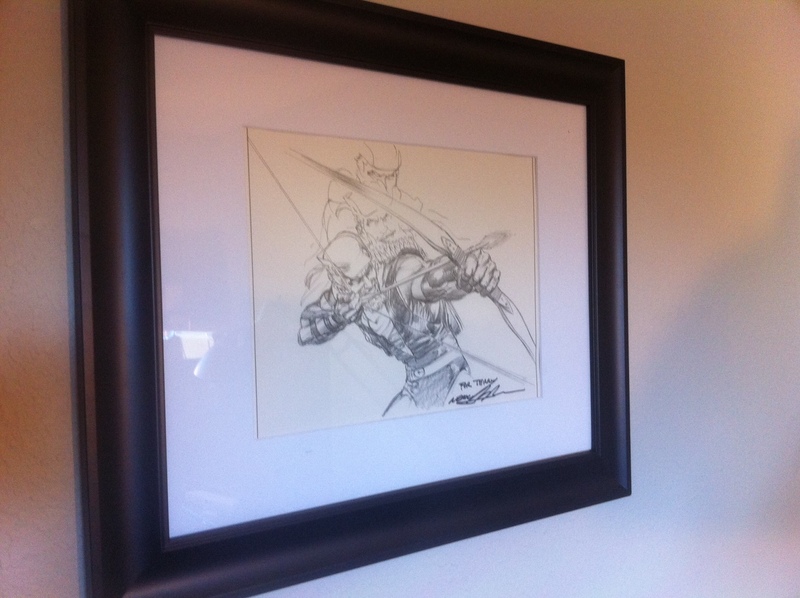 I purchased a print from Neal, of a pencil drawing of the Green Arrow. He signed it, and now it hangs in my domicile.